Just like a few other Aussie bloggers over the last week, I was approached by Lust Have It - Australia's largest beauty subscription service, to create a nail art tutorial. 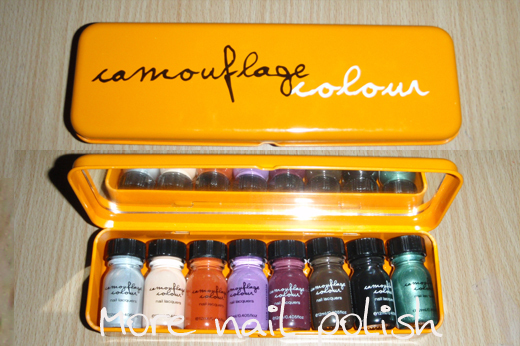 Lust Have It provided me with a tin of eight autumn themed Camouflage Colour nail polishes by The Natural Source. Polishes which featured in their most recent Lust Have It box. The eight polishes came in a mirror lined metal tin and each bottle is more like a little jar, with a wide rim and low flat lid. I quite like the bottles with the large opening cause it's easy to put the brush in without messing up the bristles. Of course eight polishes provided me with way too many colour options to narrow down a single design, so I've done two. 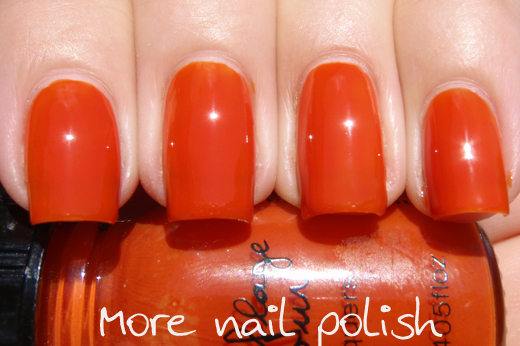 Tonight I've got swatches of four polish plus an easy tape manicure tutorial for you. 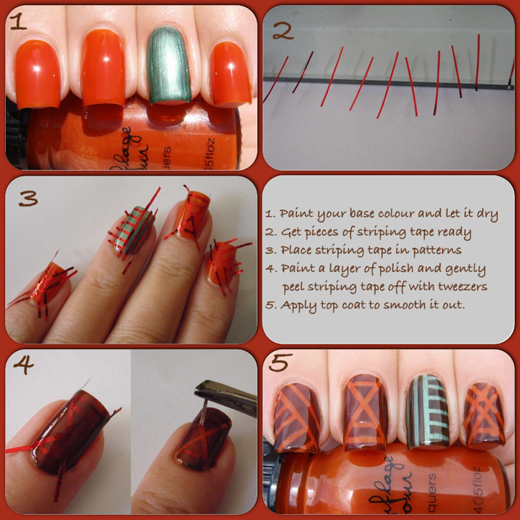 Tomorrow I'll have the other four shades, plus another nail art tutorial. Here is my finished tape manicure. 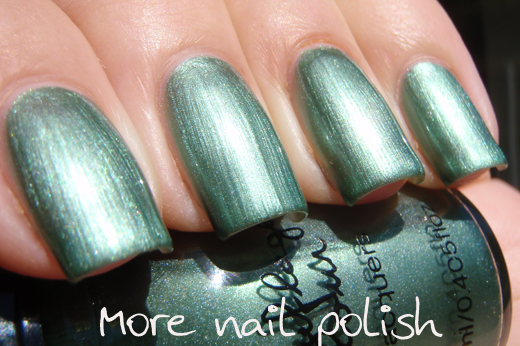 Now onto the swatches of the colours used in this mani. Blackened Brown - is a dark brown jelly creme polish. 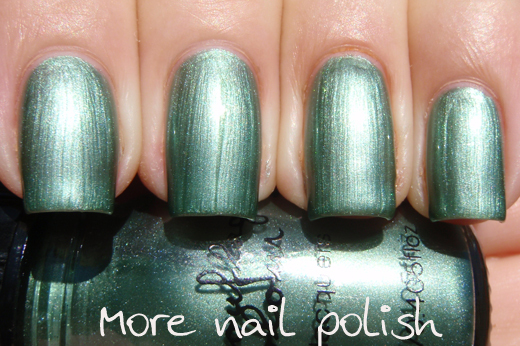 This is the polish that I used as the top colour on my striped nail tutorial. I chose this polish because it was one of the more pigmented colours in the collection, although I still used three coats for this swatch. 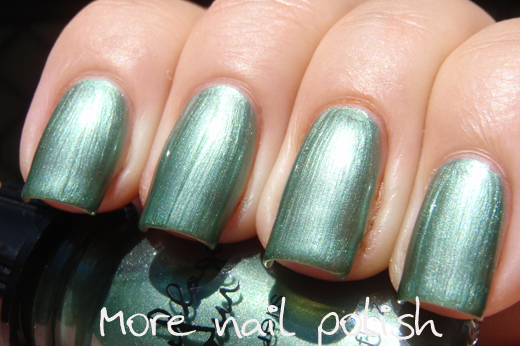 I didn't use top coat in these swatches, and as you can see, these dry to a very glossy finish. Ivy - a soft metallic pale green with a pearl finish. 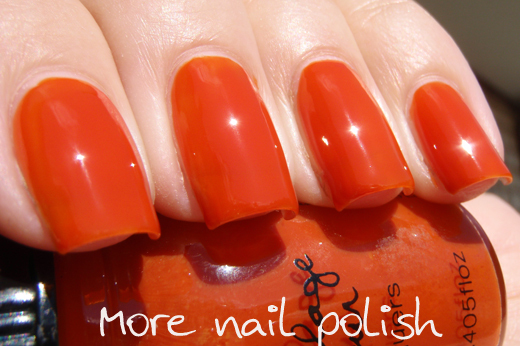 This one will leave some brushstrokes on your nail. This was three coats. I used this as my accent nail in my nail art, and as you can see, the brush stroke marks are much less noticeable in that. 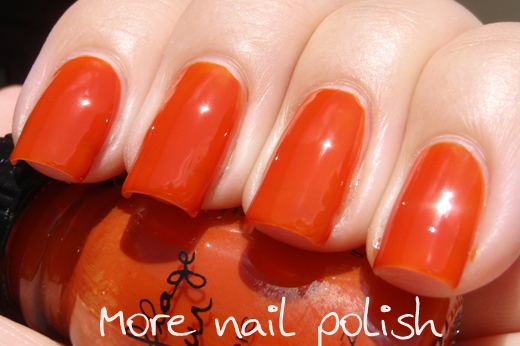 Pumpkin - a smooth orange jelly creme. I used three coats of pumpkin to ensure I had a nice smooth finish. My bottle was quite thick and only about 3/4 full, so maybe some of this had evaporated - it was almost caramel consistency. I did add some thinner to make application easier and the result was good. This orange is very rich and bright. 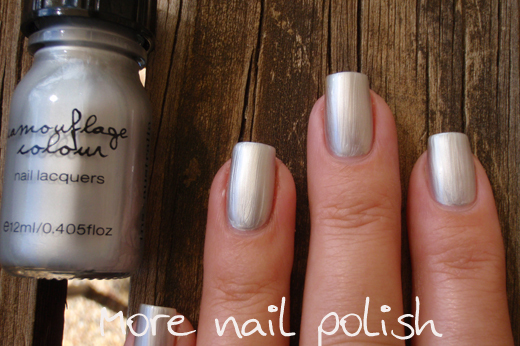 Silver - a very light and sheer silver with a pearl finish. 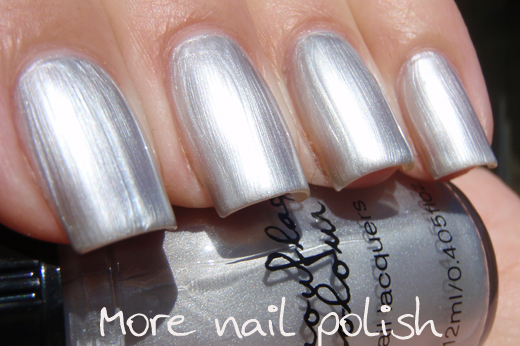 You will definitely get brushstrokes with this polish, but if you like pearl finishes then this will be a winner for you. 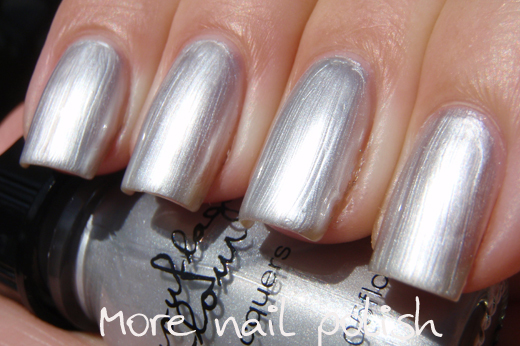 This was three thin coats of Silver with no top coat. 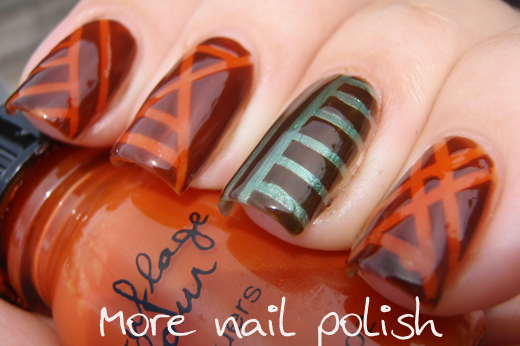 Love the mani and your choice of colours! They look amazing! I received the Blackened Brown from LHI and wasn't too sure of the colour but after seeing this blog I'm eager to give it a go. There are some cool-looking colours in this collection. I happen to be wearing Ivy right now!